Looking for somewhere new to play, but not convinced by the golf courses within the ‘Official’ published Top 100 rankings in the UK? Look no further than Golfshake’s 'Alternative' Top 100 rankings. 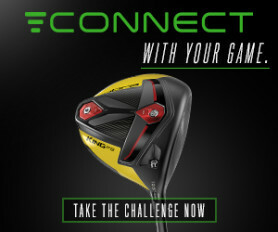 This list compiles the best of the rest in the UK with more than 50 reviews on Golfshake.com. Best of all, the Golfshake reviews and ratings are based off the expectations of the everyday golfer – not just one person’s opinion. Here are some of our favourites within the top 20. Topping this list is The Astbury, formerly known as Astbury Hall, and is sat in 350 acres of traditional English countryside in the heart of Shropshire. The club has a distinctive story behind it as it was developed by the legendary lead guitarist of Grammy award-winning heavy metal band Judas Priest. To add, The Astbury is the home of 2011 Open Championship winner and 2016 Ryder Cup captain Darren Clarke OBE. The par-71 course measures over 6,500 yards and offers a tactical mix of strategically placed bunkering and beautiful manicured playing surfaces. Multiple European Tour winner David Horsey holds the professional course record here, 65. Rounding out the top four are The Manor House, Toot Hill Golf Club and the London Golf Club, before moving into Scotland for Fairmont St Andrews, which is ranked 5th. The Fairmont St Andrews resort offers two magnificent courses that weave their way over the rolling Fife landscape. Both the Torrance Course and Kittocks Course offer a stern test to both the seasoned amateur and professionals alike – all in the vicinity of the home of golf. 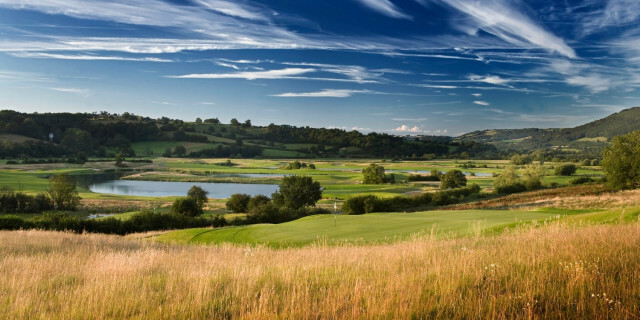 Also comfortably within the top 10 courses is the home of the 2010 Ryder Cup – Celtic Manor. However, there is much more than just the Twenty Ten Course to battle in the South of Wales. The first course to open here was the Roman Road course in 1995 and was ranked ‘the top inland course in Wales’ by Golf Monthly. Designed by Robert Trent Jones Snr, the course offers views over the Severn Estuary and across to Somerset and Devon. Why is it called Roman Road? Well, that’s because of the many Roman roads that criss-cross it. The Montgomerie Course, you guessed it, was designed by Ryder Cup winning captain Colin Montgomerie. The par-69 is another formidable challenge that can be enjoyed by all levels of golfer. Holding the final spot inside the top 10 is The Oxfordshire Golf, Hotel and Spa. The course has been designed by Rees Jones in a modern American parkland style, which is something of a rarity in Britain. The 18 strategically contoured holes were designed specifically as a potential venue for international golf tournaments. A couple of spots further down in 12th place sits The Shire London. This golf club offers 27 holes of golf in Hertfordshire. The 18 hole, par-72 Seve Masters Course and the nine-hole Academy Course were both designed by the great Seve Ballesteros in 2007. In 19th position, and just sneaking inside the top 20, is one of Europe’s longest and most challenging golf courses – Rockliffe Hall. Designed by Marc Westenborg, the course measures a staggering 7,879 yards off the back tees, but do not worry, there are five individual tee positions to choose from for those who may be intimidated by its length. The course, in the north of England, is encased in 375 acres of stunning countryside and situated on the banks of the River Tees. Fitting seamlessly into the County Durham countryside, the three new lakes and eight beautiful reed beds are just a couple of challenges you will encounter on this course. There are plenty more fantastic courses within the top 20, and top 100, to choose from so if you want to see which other courses feature, click here.